Equinox is one of the largest owner of gyms in America. When the company opens its first line of hotels in 2019, it will also enter another travel industry sector by rolling out multi-day luxury tours around the world next April. New York-based Equinox has partnered with Leah Howe, formerly of Toronto-based Butterfield & Robinson, and New York’s Van Wyck & Van Wyck, on its new tours product, which Equinox fitness club members, hotel guests, and other travelers can book. Equinox will offer U.S. domestic and international tours that were conceived with its membership in mind, according to a statement from the company. The new tours, which Equinox is calling bespoke travel experiences, will launch next April with a summit-chasing adventure in Morocco. The company has eight to 15 tours planned for 2019. 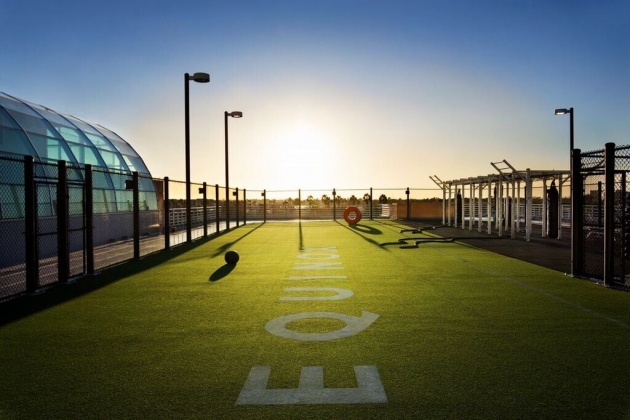 Equinox will also offer customized trips and urban retreats based on an individual or group’s unique fitness and lifestyle goals. Trips will vary from physically intense adventures such as an Ethiopian journey that traces the birth of elite running to jet-serviced Adirondacks high-alpine hiking, to regenerative and mindfulness excursions to exquisite locales such as India.